Listening game – which cats go on the ‘L’ bus? This was something we did when Nursery gave ‘homework’ to find items from home beginning with ‘L’. There are a lot of words in that sentence that I couldn’t even begin to put across to my daughter at that stage – so this is our adaptation. I told her lots of cats were going on the bus – but only L cats could go on the L bus. I printed out the pictures with the names underneath. This was because I couldn’t be sure to remember all the cat names. Also because I was happy for her to use the auditory clue of listening for the L sound together with the visual clue of the letter. OK, OK … the printed words were a tantrum dodger. She understood that they had to ‘match’ – whereas she would have got cross if Mum was just telling her which was L and which wasn’t. 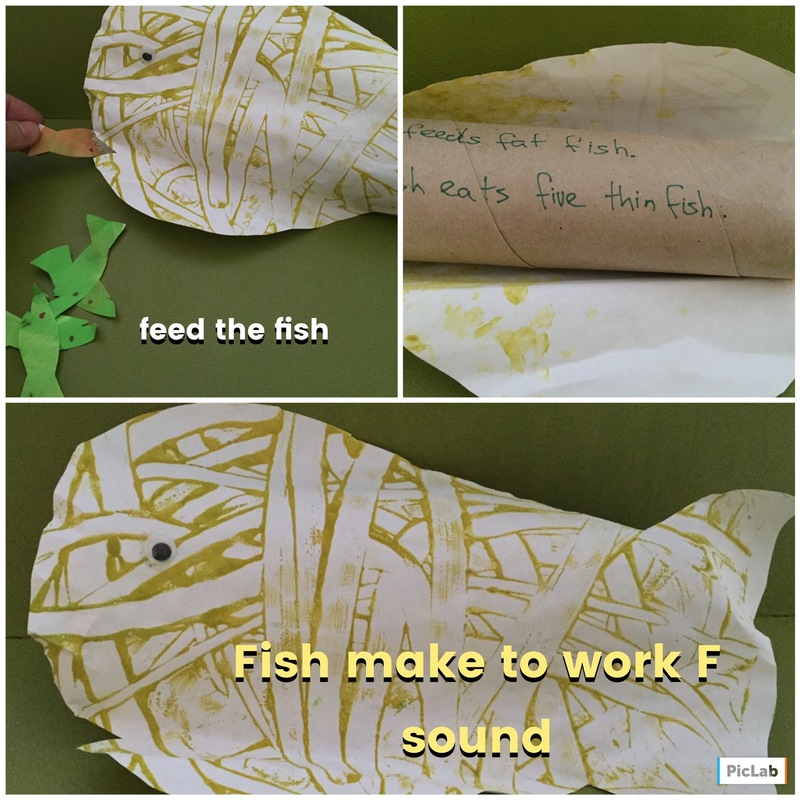 Here is the fish craft that Junior and I made to practice making our F sounds. It’s a big fish with a kitchen roll insert behind him. I cut the fish out of a piece of A4 paper that she’d finger painted all over.